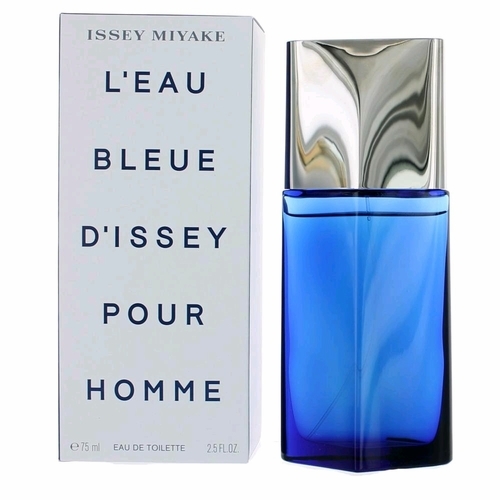 Discover a new expression of water that is mysterious, enveloping and deep with the new masculine fragrance from Issey Miyake, L'Eau Bleue dissey Pour Homme. A fragrance with character, it offers an immediate recognition that is both distinct and present. L'eau Bleue d'Issey Pour Homme is built on a sensorial spiral, a contrast of sensations with a freshness at the start, which is natural transparent, followed by a woody heart for masculinity and comfort.